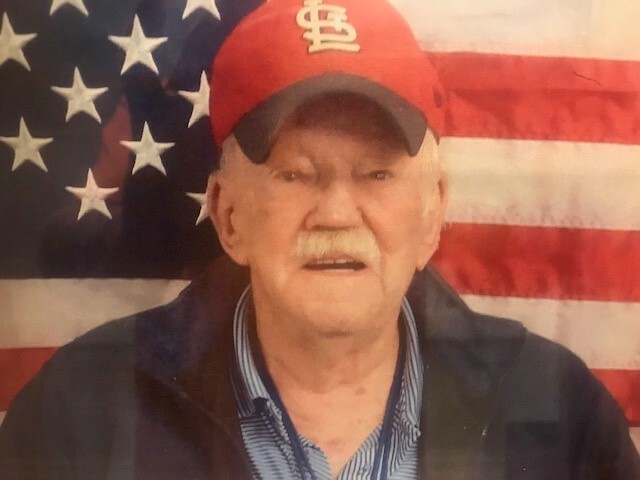 Marvin Lee Jones, 86, of Springfield, IL, formerly of Hillsboro, IL, passed on Friday, November 09, 2018, at 10:00 a.m., at Reflections Memory Care in Chatham, IL. Graveside services will be held on Saturday, November 17, 2018, at 1:00 p.m., at Oak Grove Cemetery in Hillsboro, IL. Rev. Harry Meyer will officiate. Military rites at graveside by V.F.W. Post #1306 and American Legion Post #425. Mr. Jones was born on November 10, 1931, in Hillsboro, IL, to the late Cloid & Myrtle (Bewley) Jones. He was a 1949 Graduate of Hillsboro High School in Hillsboro, IL and was retired from Illinois Consolidated Communications as a Field Supervisor. He married Rita Ann Carr, on December 23, 1950, in Hillsboro, IL. She preceded him in death on March 28, 1991. Mr. Jones was a member of the V.F.W. Post #1306 in Taylor Springs, IL; American Legion in Springfield, IL; Mt. Moriah Masonic Lodge #51 in Hillsboro, IL; His hobbies were fishing, watching Green Bay Packers football and St. Louis Cardinals baseball. He had lived in Hillsboro, IL; St. Petersburg, FL; Ball Club, MN and Springfield, IL. Mr. Jones is survived by one son, Kit M. Jones of Springfield, IL; four grandchildren, Brock L. Jones, Josh T. Kerns, Jesse Lee Jones & Jenne C. Jones Mathews and nine great grandchildren. Along with his parents and wife, he was preceded in death by one son, Jeffrey L. Jones; one brother, Oliver Jones & one sister, Doris Edwards. Memorials are suggested to Alzheimer Association.